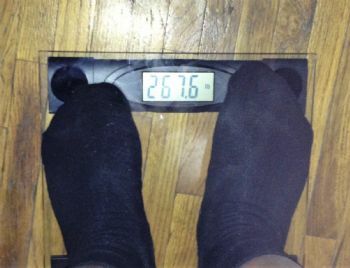 I want to get back in the habit of posting a weigh in pic every weekend again. This is from Thursday the 4th, two days before the 5% Winter Challenge started. Posting this one as I didn't have one of actual weigh in. to everyone doing the 5% Challenge or simply challenging yourselves to be a little healthier in 2018. Here’s to 5%, Here we come! That photo is a very powerful motivator. It certainly is a visual reminder of your goals. Thanks for sharing. You got this!! I know by fit bit challenge you are moving. Great job! We will all win it this round. Keep up the good work!